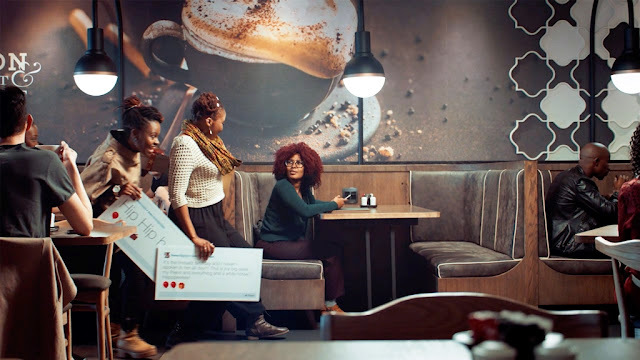 As patrons of Mugg & Bean well know, the simple act of meeting over a bottomless cup of coffee or an indulgent meal invites meaningful conversation, whether it’s between friends, family or business associates – people being generous with their time, sharing real face-to-face connection. This generosity is something aspiring musician Zuko discovered first-hand, when the brand’s marketing team staged a birthday surprise, which realised the true sentiment of birthday wishes her friends sent her for her birthday. By secretly bringing her family and friends together so they could surprise her and wish her in person while she was on, what she thought was, a normal Mugg & Bean commercial shoot, Zuko experienced the power of true generosity of spirit and sharing. “The rush of warmth I felt when my family arrived in-person to wish me happy birthday cannot be described. I hadn’t seen them for many months and I had to pinch myself to believe this experience was real,” says Zuko. “When we engage with social media it’s very easy to think that we are maintaining our connection with our loved ones, but the fact of the matter remains that we are simply keeping tabs on them. By ‘liking’ or even ‘loving’ their posts we are not actually engaging with our friends. For me there is nothing like face-to-face human interaction,” adds Zuko.